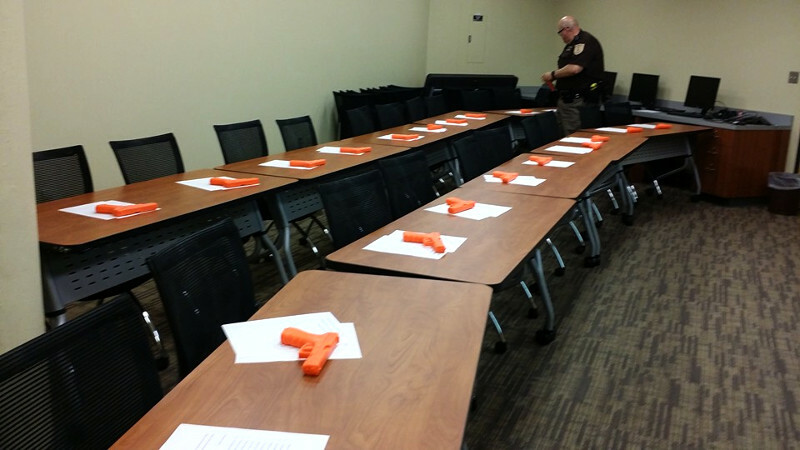 The Roanoke County Sheriff’s Office is conducting a four-hour Citizen Firearm Safety Course in exchange for food donations to local charities. This course will be classroom based and will deal with firearm safety, storage, proper weapon manipulation, and malfunctions, along with issues and responsibilities associated with firearm ownership. The cost of this course is 10 canned goods or non-perishable items which will be collected at the beginning of class. The class size is restricted to 18 people on each, so the registration will be handled on a first come/first served basis, with more classes being scheduled in the future as these fill. The next class will be June 10, 2019 at 5:30PM at the Roanoke County Courthouse. To sign up please email Sgt. Clifton and include your name, phone number and best email address to contact you at.